When you are not sure how to act but you are calm, knowing that the answer is probably out there or that things will sort themselves out without your interference, you might notice that your relaxed posture on the seat of wisdom mimics that of The High Priestess Tarot card. This card assures you to trust your gut, to be passive and wait to respond to provocations instead of provoking responses. 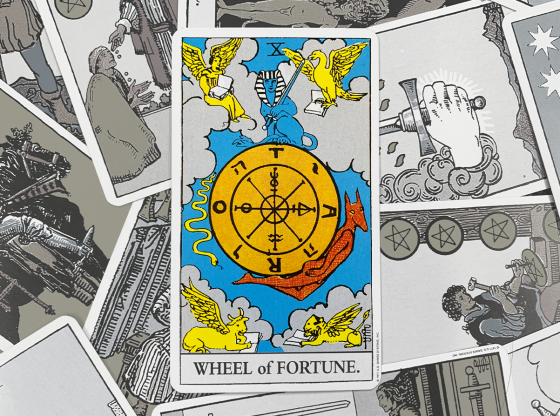 The world has many secrets in it to be unlocked and taking the less obvious path to any or all of these answers is the route favored by this card. A woman in a blue robe stares straight ahead. She is seated between two pillars, her chair almost completely covered by her flowing robe. Her headdress curves out from her head and carries a large sphere in its center. At her feet is a golden crescent moon, balanced as if she is stepping on it to keep it in place. She holds the sacred Torah scroll, has a white cross on her chest and sits in front of a decorative tapestry illustrated with patterns of fruit bursting out of its skin in between palm trees. The tapestry is suspended between the pillars. One pillar is black and sports the letter B, the other pillar is white and is emblazoned with the letter J. Behind all this is a blue background reminiscent of a night lit by the fullest, brightest moon. The Letters B and J stand for Boaz and Jachin. These are the pillars from King Solomon’s Temple. Boaz is roughly translated as “completion” and Jachin is “begin.” The high priestess sits between the end and the beginning, intuitively understanding that change is a constant with or without one’s involvement or influence. King Solomon’s Temple only had high priests, not priestesses, so this card is a radical step away from established traditions and conventions. The Moon at her feet represents a foundation of the unconscious as the primary influence and the pomegranates and palms on the tapestry represent the fertility of the imagination unrestrained by logic and consequence. The sphere in the headdress is the pearl of wisdom and the cross above the Torah illustrate that wisdom is achieved by finding the best of any tradition to guide you. 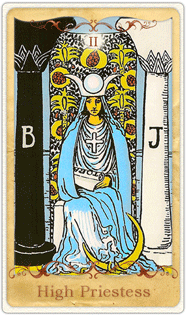 Nothing in this card is obvious; there was no high priestess in King Solomon’s Temple, and yet there sits The High Priestess on a foundation of intuition and blending traditions along the way. 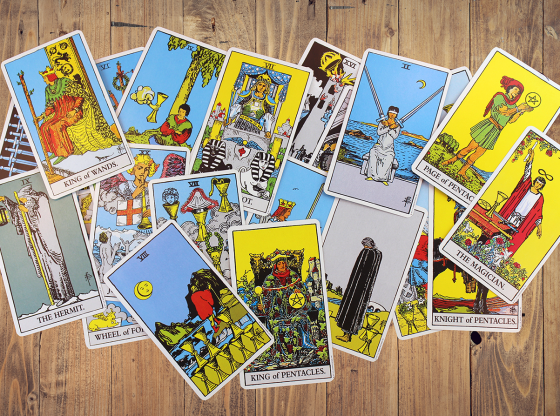 A Tarot reading is about the entire picture: Your past, present and future. 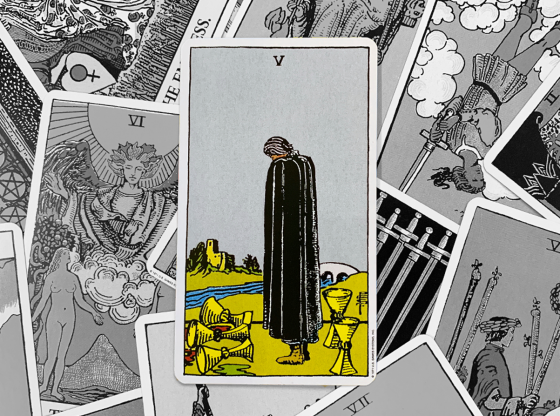 A card’s meaning can be quite different in one part of a reading than another. When The High Priestess is in your past, this can indicate a passive childhood or a recent time in your life when patience and understanding was required. If you spent a lot of time in the library or surfing the internet studying up on one subject, The High Priestess here shows that your ability to survive on hunches and intuition is quite good and that the knowledge you have acquired in life is a simple foundation and not something that props up your ego. 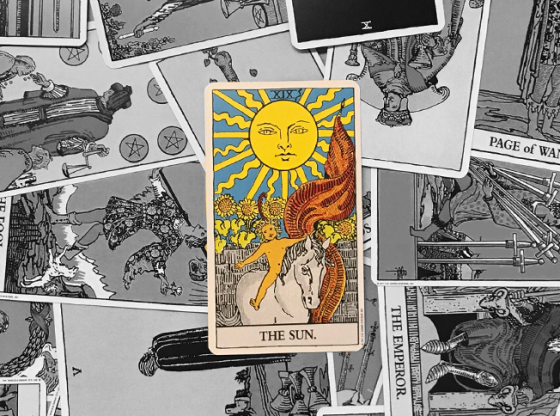 In the present position, The High Priestess signifies that you are best advised to avoid conflict and to not necessarily believe what is being presented to you as “the truth.” The High Priestess is a card of following your hunches. We are told by many elements of society to only go on what we know rather than how we feel. The High Priestess card runs counter to this. Is there a situation in your life where someone is insisting that things are one way when you feel strongly that they are not? Many women who are dating or living with alcoholic partners are asked to embrace the false reality that a constant state of being “buzzed” brings on. Do you have a hunch that your life or relationship could be better than it is at present? 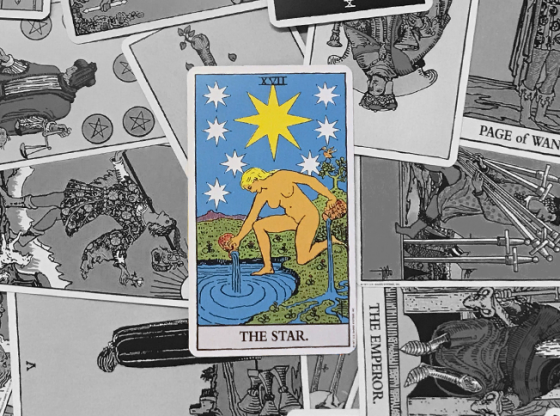 When The High Priestess occupies the future position in your reading, there is a coming confrontation that is best spotted ahead of time in order for you to sidestep or avoid altogether. Follow your hunches if a friend or co-worker attempts to get you involved in conspiring against someone, even an enemy. The High Priestess is a card that knows without knowing; if the behavior is not something you are known for, you should know better than to start embracing it now. 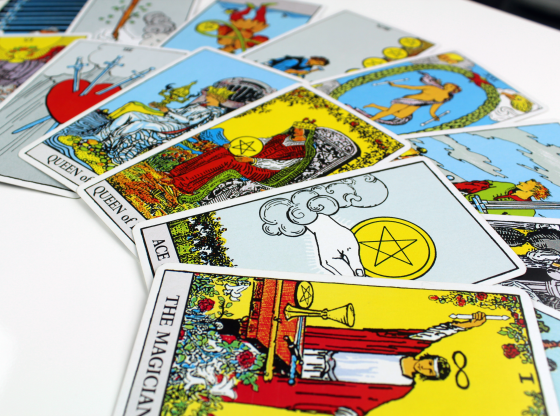 When your Tarot cards are laid out for your reader to see, the cards that are nearby each other harmonize and subtly alter each other’s meanings. 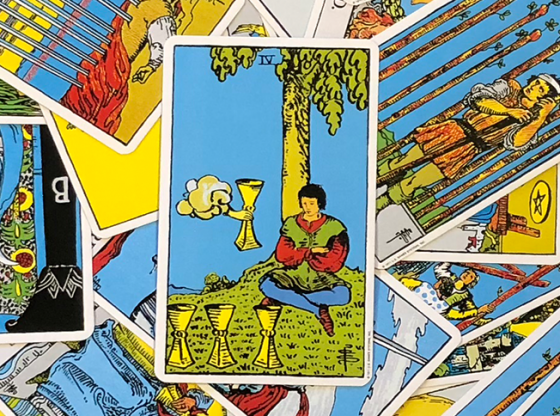 The cards that are around The High Priestess in a reading describe the area of your life that is most impacted by this powerfully meditative card. 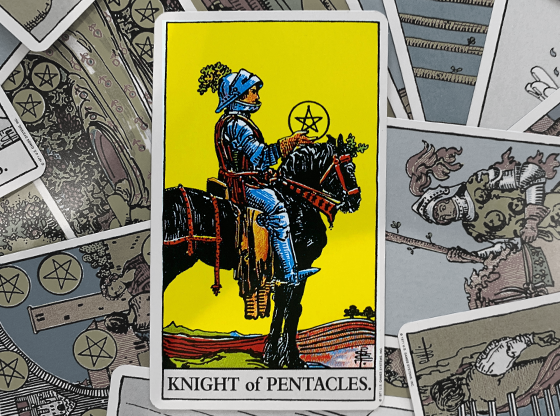 When there are many cards from the suit of Pentacles in your reading, this indicates that your hunches about a good way to make money are right on. This is a green light to be bold in a new field despite not being an expert. Some people might tell a woman that she needs to study at business school before attempting to start her own business. The High Priestess and some Pentacles appearing in a reading would indicate otherwise. Go for it! If the suit of Cups is present near The High Priestess, cool emotions are called for. There could be an overflow of demands on your feelings, but without having the facts in front of you, just feeling like you might be in the presence of a manipulative individual is reason enough to pull back on deep commitments. Sometimes people create a false sense of urgency. The High Priestess is never swayed by these situations. 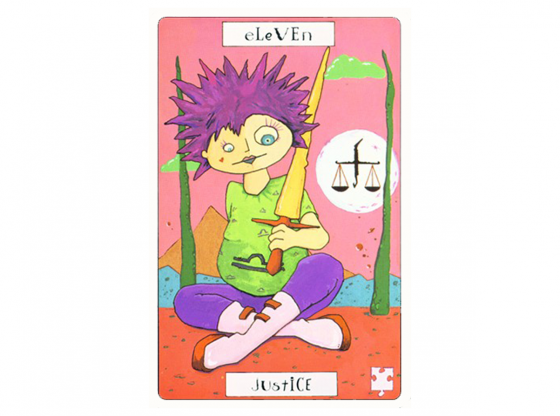 The suit of Wands focuses your reading on many creative options for The High Priestess. It is said that the Mona Lisa by Leonardo DaVinci took over 4 years to paint and that she bears a superficial resemblance to the posed and poised High Priestess. If you are in the middle of creating your masterpieces, this card combination signals that you do not need the knowledge of the academics to be great if you are keeping focused on a creative vision. 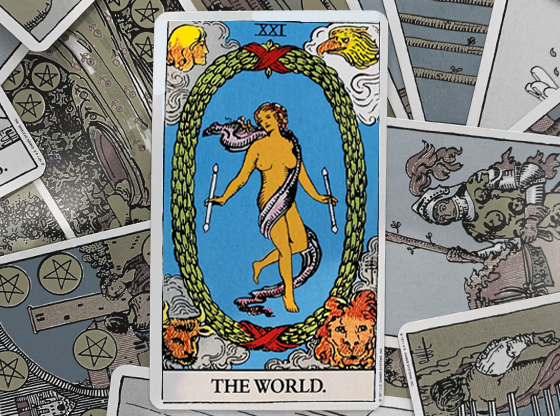 When the suit of Swords is near The High Priestess card, observe angry words all around and understand that the silence offered by this card will be your greatest weapon. To not respond to a verbal attack is the ultimate response because the attacker does not get the confrontation he or she so demanded. The High Priestess is ultimately a card of finding and manifesting an inner peace as a response to the outside world. Numbered Two in the Tarot Deck, discover the connection The High Priestess shares with the other cards numbered two in the Tarot deck.